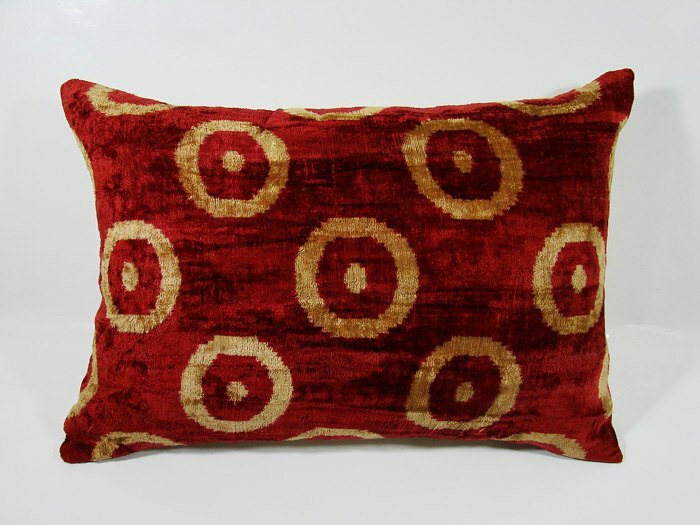 Velvet pillow made of 100% pure silk. Colored with natural dyes. It has Anatolian and central Asian patterns. Colors may fade after washing. Dry cleaning recommended. - Hand Embroidered with silk threads on fabric. - The pillow is zipped on the back. - used fabric on the back. Velvet Tiger Pillows - Set of 2 ~ Down Feather Inserts Included.